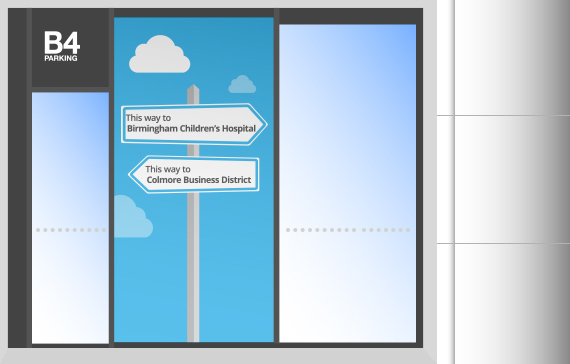 After completing some small door stickers to promote their Award wins, B4 Parking asked us to produce a suite of much larger vinyl windows graphics for their large car park in central Birmingham. 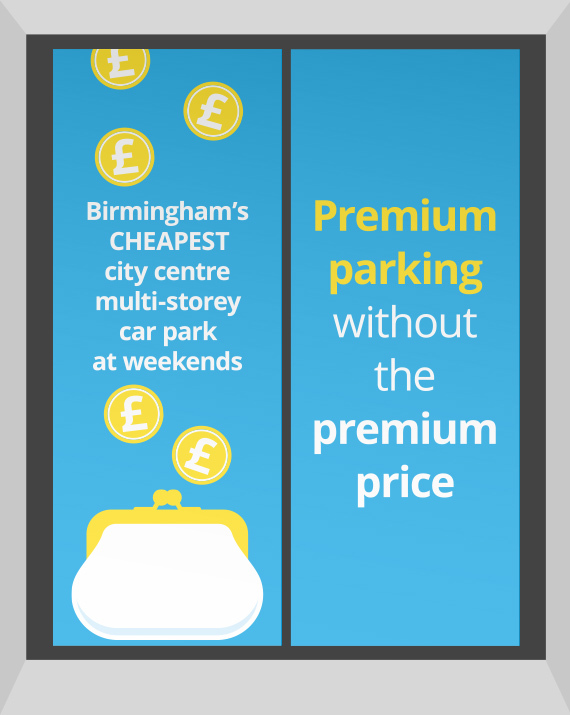 The brief was to create clean, on-brand graphics promoting several different messages about the benefits of parking with B4. The windows are all located close to each other, so needed to work together as well as stand-alone. Keeping things simple we used the main brand colours, blue and white, and introduced a vibrant yellow to give an eye-catching colour pop to the illustrations. These are teamed with a very clear and easy to read font. The windows are now all installed in their location and look fabulous. 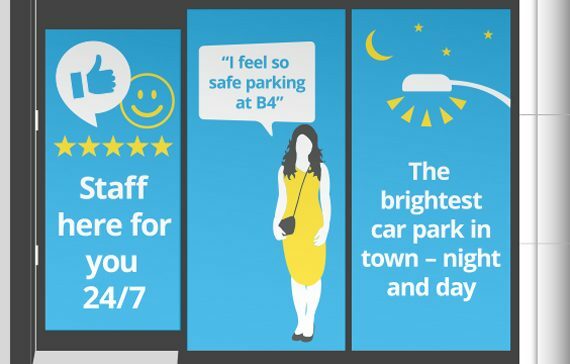 A car park need not be dull!